Sena offers a range of excellent BlueTooth Communication Systems! Now you can upgrade your existing Paramotor or Paragliding Helmet with the latest in high-tech communication with Sena Bluetooth products! Effortless communication is now just a simple installation away, as these great BlueTooth solutions offer multiple ways to stay in touch during your flights, plus so much more! Pair your Sena to your cell phone, and now you're listening to your favorite stereo music while you fly! Got a call coming in? No problem - a simple touch to your ear with your thumb and you are talking without missing a beat. The windscreened microphone cuts the wind noise for clear communication. Many of the Sena premium BlueTooth Systems allow pilots to use Intercom to connect and talk between other Sena users while flying - up to as far as a mile away! Others are just great for listening to your music and taking calls but don't have the range to effectively stay in intercom range. Keep in mind that you can always call each other and talk over your cell phone if there is coverage. With the Sena SR10, adding your faithful Ham or Family Band Radio is as easy as a snap! Radios have a much farther range than BlueTooth Intercom, so for those instances where you need a backup, you can simply add this great Radio Adapter and have the best of both worlds! If you choose the Tufftalk Headset, the radio only needs an optional $20 cable in order to add the ability to talk on the radio! Both the SR10 and Tufftalk also have the capacity to add the optional finger mount PTT (push-to-talk) for easy in-flight radio use. Technology that keeps things simple… that’s the Sena advantage. Simplicity is at the heart of all Sena Communication devices, allowing you to focus on the flight rather than wondering what everyone is doing or where they are going. Coordinate formation flying, change destinations, point out landscape features, alert the group in case of emergencies, the possibilities are endless with good communications. 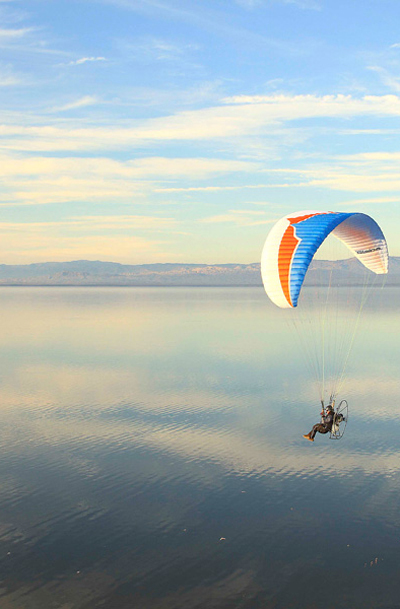 Installation into your existing Paramotor or Paragliding Helmet is easy with Sena's User Guide Instructions to guide you through the process!